DNRT goes to work everyday to preserve and protect Dartmouth’s incredible scenic, historic, agricultural, and natural resources. 1. We work with landowners to acquire – either through donation or purchase – critical conservation lands. These properties become our Reserves. 2. We work with landowners to encourage them to donate conservation restrictions to us and we help guide them through the process. 3. We collaborate with other conservation organizations, state and Federal agencies, and the Town of Dartmouth to preserve land that may ultimately be owned or protected by one of these groups instead of DNRT. 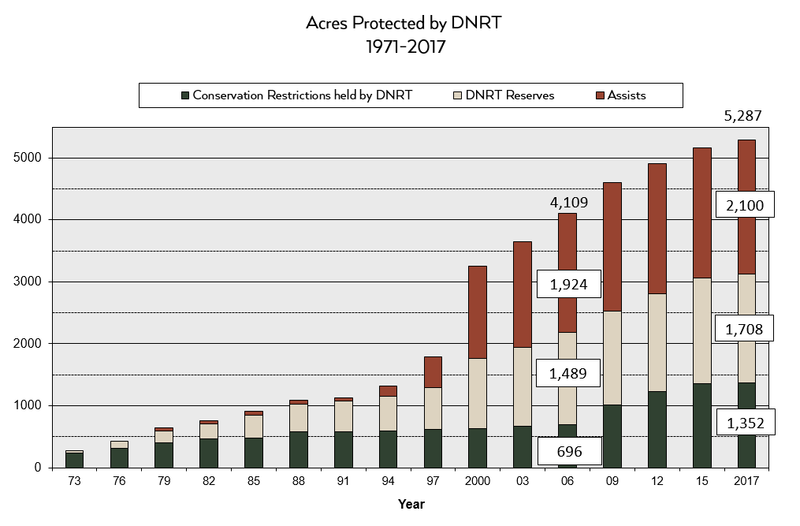 DNRT now owns more than 1,700 acres in over 50 Open Space Reserves, and stewards more than 50 conservation restrictions on another 1,350 acres. 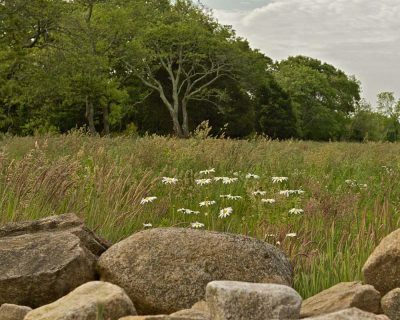 Combined with the work we have done in partnership with other conservation organizations, state agencies and the town of Dartmouth, DNRT has worked to protect more than 5,100 acres in Dartmouth since our founding in 1971, making us one of the most successful land trusts in Massachusetts. Do you own agricultural lands, woodlands, wetlands, or other special property in Dartmouth which you would like to protect for future generations? If so, there are a number of conservation options that may help you achieve your goals. As a first step, read the information below. Then call DNRT. We can help walk you through some the options and, if appropriate, connect you to others who can help. Following are brief summaries of some of the primary tools available to landowners. For more information, please contact Dexter at DNRT. 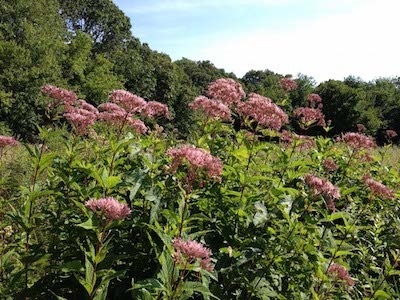 A conservation restriction (CR), also known as a conservation easement, is a legal agreement between a landowner and a land trust or government agency that permanently limits future development of the land in order to protect its conservation values. A landowner who donates a conservation restriction maintains ownership of the land, but relinquishes development rights. 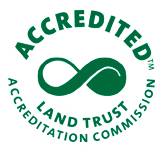 The CR is recorded with the deed and applies to all future landowners. While most people donate CRs because of their love of the land and their desire to see it protected for future generations, there are also significant tax benefits associated with a CR donation. These tax benefits can include: 1) a Federal income tax deduction; 2) estate tax reductions; and 3) reduced real estate taxes. The value of a conservation restriction gift (for tax purposes) is the difference between the value of the property without the restriction and its value with the restriction. Income tax deductions are generally limited to 30% of the donor’s adjusted gross income in the year of the gift, with the balance of the deduction carried forward for up to five additional years. In addition, Chapter 509 of the Acts of 2008 established a Massachusetts State Income Tax Credit for landowners who voluntarily donate qualifying conservation land to a municipality, the state or a nonprofit conservation organization. Under the initiative, the state has established regulations to determine whether properties proposed for donation meet public interest standards for natural resource protection. Landowners may be donating either land, a conservation restriction or entering into a bargain sale. The Commonwealth will provide 50% of the appraised donation value, up to $50,000, to the donor in the form of a tax credit. Applications are accepted on a “rolling” basis during the year (there is a limit to the funding the state has available, so the sooner in the year you apply, the better). More information is available on this web site. In general, in order to be tax-deductible, the CR: a) must be given in perpetuity (i.e., must be permanent); b) must be given to a qualified governmental or non-profit organization (like DNRT); c) must have a qualified appraisal (to determine the value of the CR); and d) must be donated exclusively for “conservation purposes” (in other words, the property must have some significant natural, scenic, historic, scientific, recreational, or open space value and the restriction must protect those values). A purchase of development rights program (also know as purchase of a conservation or agricultural restriction program) compensates property owners who voluntarily agree to sell the right to develop their property. These programs are especially beneficial to farmers, because they allow them to realize equity from their land without being forced to sell their farms for development. They also assist farmers with estate planning, allowing for the transfer of ownership of their farms to their children. A) The Agricultural Preservation Restriction (APR) Program, administered by the Massachusetts Department Agricultural Resources, protects farmland by purchasing the development rights from willing agricultural landowners. Essentially, the program offers to pay landowners the difference between the “fair market value” and the “agricultural value” of their farmland in exchange for a permanent deed restriction, which precludes any use of the property that will have a negative impact on its agricultural viability. The APR program is highly competitive and is intended to offer a non-development alternative to farmers and other owners of “prime” and “state important” agricultural land who are faced with a decision regarding future use and disposition of their farms. Acceptance of a farm into the APR program is typically supported by a financial contribution from the local municipality. B) The Town of Dartmouth’s Agricultural Preservation Trust Fund was created for the purpose of preserving existing productive agricultural lands and supporting and revitalizing the agricultural industry of the town. Funds are used: (a) to purchase development rights to preserve the agricultural use of existing agricultural lands; and (b) to exercise the town’s right of first refusal on land enrolled in the state’s agricultural/ horticultural use program (chapter 61A). In 1998, town voters approved $2.75 million for the fund, which is administered by the town’s Agricultural Preservation Trust Fund Council. C) The Community Preservation Act is statewide enabling legislation that provides local and state funding for open space and recreational land, historic preservation, and community housing. Applications for funding are reviewed by the Dartmouth Community Preservation Committee and voted on at Town Meeting. Instead of donating a conservation restriction, landowners may also donate land outright to DNRT. In fact, most of DNRT’s 50+ reserves have been generously donated by landowners. When land is given for conservation purposes, DNRT will keep it in its natural state in perpetuity. Landowners can also receive significant tax benefits, including an income tax deduction for the value of the property, estate tax reductions, and the new Massachusetts state income tax credit. 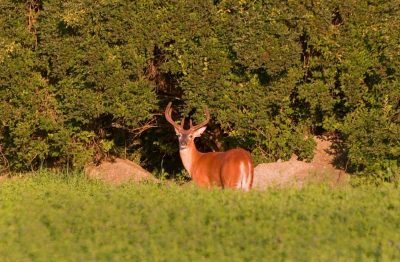 If a landowner would like to gift the land, but remain on it until their death, they can donate a “remainder interest” to a conservation organization such as DNRT. With a remainder interest donation, a landowner can take an income tax deduction now and reserve the right to live on the property until they die. Upon their death, the ownership of the property transfers to DNRT. 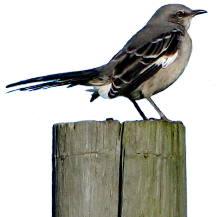 To maximize their tax benefits, a landowner could also combine a gift of a conservation restriction to one organization and the gift of a remainder interest to another. Donations of land can also be made by bequest. In certain cases DNRT—alone or in partnership with the Town of Dartmouth or other partners—will seek to raise funds to purchase critically important conservation land. In these cases, DNRT will often seek a “bargain sale” in which the landowner is paid less than fair market value but can receive tax benefits for the gift portion (the difference between the fair market value and the sale price).